Those diagnosed with breast cancer that wish to join & support the team but NOT paddle. 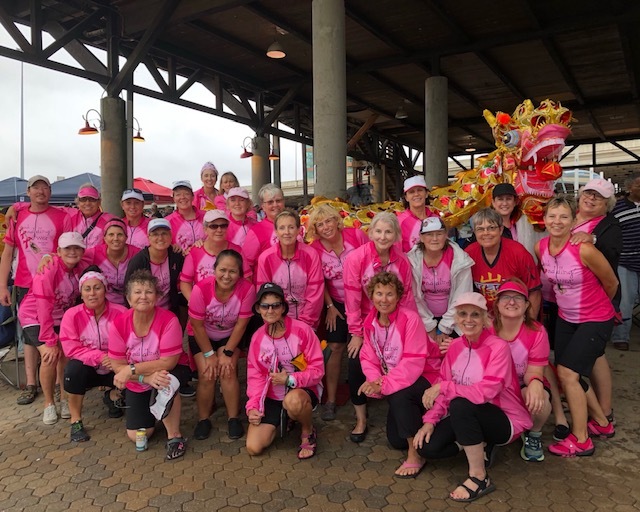 Those diagnosed with breast cancer that wish to join the team and paddle on a dragon boat. This membership level also includes membership in the Racine Dragon Boat Club (RDBC) - a signed liability waiver is required of each Paddler. Details on this form and its instructions will accompany your Pink Paddling Power membership confirmation email. Dues cover boat maintenance, insurance, etc. Access to all online content; including membership directory, and event calendar. Ability to add a profile with your listing in the membership directory.